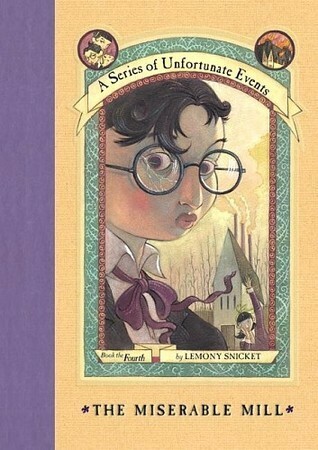 I first read this book when I was around 10. I completely loved it. As a child, I adored the darkness about it, because it was different. Now, years later, I still love it. Maybe it´s just sentimental, but I still really enjoy this cute little book. 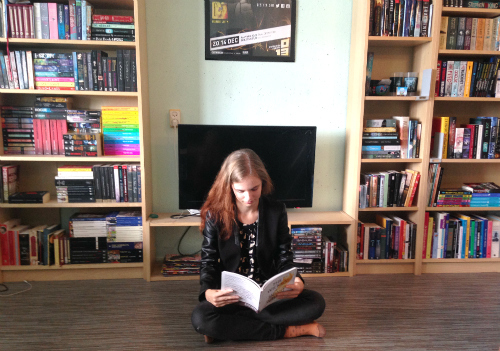 Also, it looks nice in my bookcase *grin*. Read this one when I was little, so a huge part of it I couldn’t remember very clearly any more. 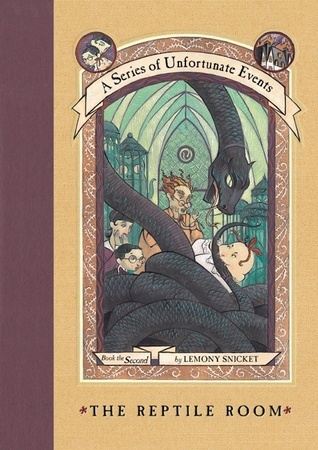 I love Snicket’s style, and I feel the explanation of meanings of words is becoming a running joke. Really looking forward to rereading the next part of the series, The Wide Window, which was one of my favourites as a child. The Wide Window is one of the spookier ones (at least for someone afraid of heights). Grammar is a big part of the story, which I thought was hilarious. I never met anyone obsessed with grammar to be honest. 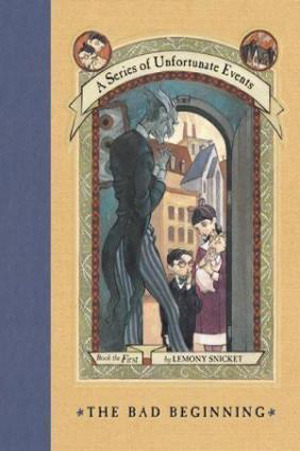 Count Olaf is on this worst in The Wide Window, in a cold-blooded murder kind of way. 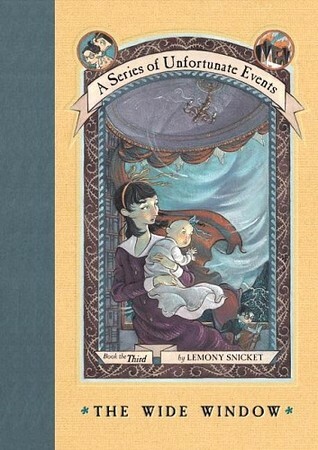 In my opinion one of the bleakest books in the series. In The Miserable Mill the orphans are forced to work in a lumber mill, where they don’t even get food except for dinner. I was very relieved once the orphans escaped Olaf’s clutches once again, and they could go somewhere better.